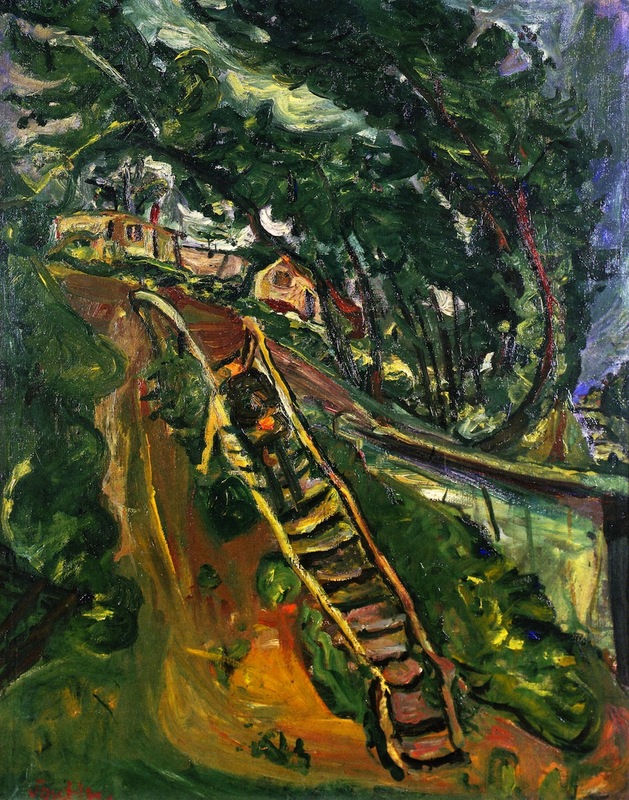 Detail from Landscape with Flight of Stairs, c. 1922, oil on canvas by Russian-French artist Chaim Soutine (1893–1943). 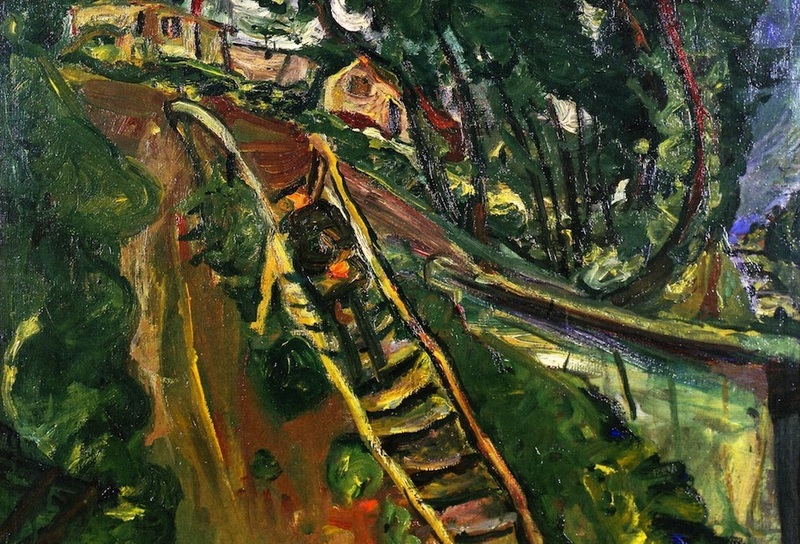 Click on image to see entire painting. Courtesy of The Athenaeum. In July 1947, using the money from the advance for a novel, Paul Bowles left for Morocco, a country he had visited years earlier on the advice of Gertrude Stein. His wife, Jane, remained behind in the U.S. and began an affair with Jody McLean, a New England woman who owned a tea shop. Paul, who with a friend bought a house in the Casbah of Tangier, encouraged Jane to join him in Africa. Fearful of a transatlantic journey, she kept putting it off but in January finally went to Morocco with Jody and found herself enthralled by their new home. 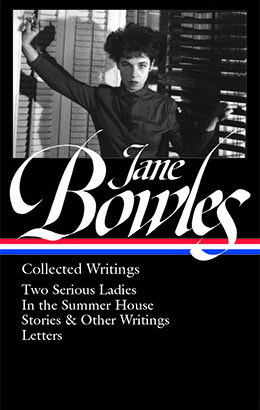 Jody returned to the U.S. in the spring, and Jane decided to stay alone in Morocco when Paul went to New York to finish the incidental music for Tennessee Williams’s new play, Summer and Smoke. During Paul’s absence, Jane befriended—and became a bit obsessed with—a group of women she met in the grain market, including Cherifa, who operated a stall in the market and who would become Jane’s closest companion for two decades. During their Sahara trek, while staying in Taghit, Algeria, Jane broke through her recurring writer’s block and finished “A Stick of Green Candy.” Paul—whose famous novel The Sheltering Sky was published that year—was excited that Jane was writing again, but according to his biographer Virginia Spencer Carr he “feared that she would never stop tinkering with it.” When they returned to Tangier, Jane ended up stashing the story in a closet. In 1956 Tennessee Williams and his partner Frank Merlo visited Tangier, and Jane dusted off the manuscript for Merlo to read. Jane allowed him to take it back to the U.S. and he sent it to Vogue, which immediately accepted the story. It appeared in the magazine a couple of weeks shy of Jane’s fortieth birthday. Jane was telling of the breakdown in her imaginative world. In the desert, as she wrote the story, her sense of its truth held her, and she could complete it. Like Mary, she had to believe in the truth of what she said. . . . But when the story was done, when she returned to Tangier, she began again to disbelieve her own words, to mistrust her own imagination. . . . “A Stick of Green Candy” was to be the last work of fiction she was ever to complete. The clay pit had been dug in the side of a long hill. By leaning back against the lower part of its wall, Mary could see the curved highway above her and the cars speeding past. . . . If you don't see the full selection below, click here (PDF) or click here (Google Docs) to read it—free!